Star Trend: Bag Tod's. Style Lesson. Celebrities want to carry much stuff with them as normal people do.But they have to stay fashionable and elegant. 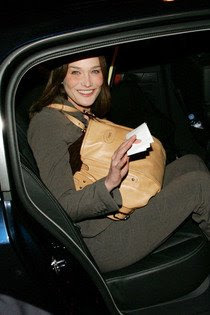 That's why Carla Bruni, Kate Winslet, Julia Roberts and many other celebrities chose G-bag Tod's like they made plans with each other to to it together. It suits casual attire and austere style as well. All the bags are hand made and made of soft genuine leather.